Joshua Weiss concentrates his practice in areas of real estate and corporate finance. He represents institutional lenders, investment banking firms, commercial banks, public and private REITs, and insurance companies in connection with the negotiation, documentation, and closing of mortgage loans, equity investments, and mezzanine debt. He also represents institutional lenders in connection with direct bond purchases in connection with tax-exempt bond issuances to developers, educational and not-for-profit entities, acquisition and construction loans, and traditional financing. He counsels clients regarding all issues arising during the term of the loan or investment, including modifications, amendments, and workouts. 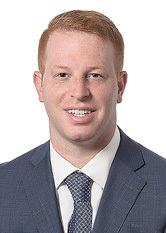 Prior to joining the firm, Mr. Weiss represented clients on complex real estate transactions, and provided counsel regarding the sale or purchase of personal or investment properties, including leasing and financing transactions, buy-sell agreements and routine client assistance - from due diligence to closing.